i95Dev's GP Connect has solved the need for Magento and Microsoft Dynamics GP to communicate in real-time and the possibility of managing all operations from one platform. Imagine only having to monitor and maintain one system rather than multiple systems on an everyday basis. With all your processes integrated with one another, you will automatically realize increased efficiency and productivity at your operation. 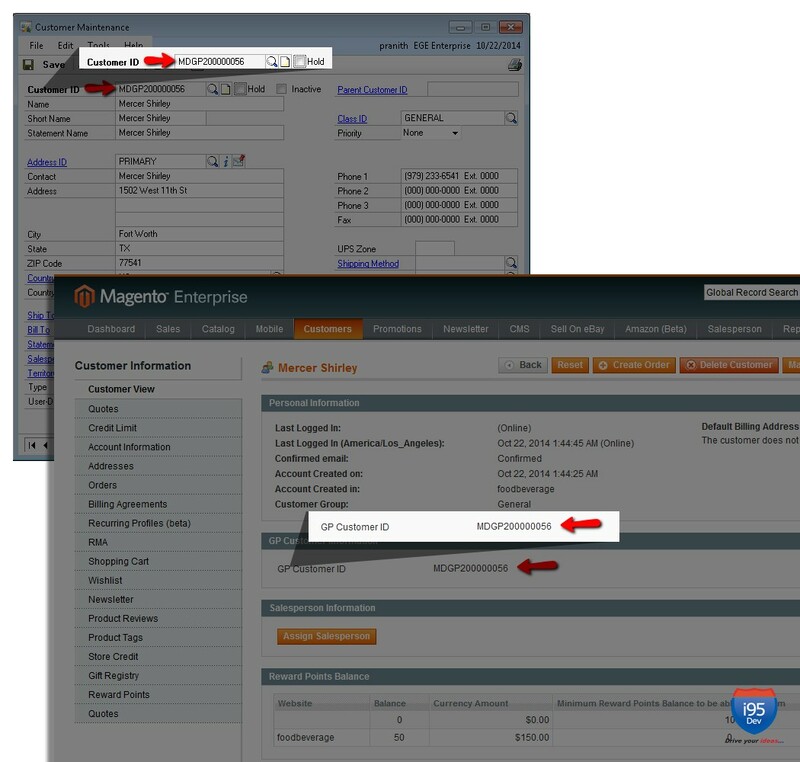 GP Connect effortlessly collects customer information and automates the information sync from Magento to GP. 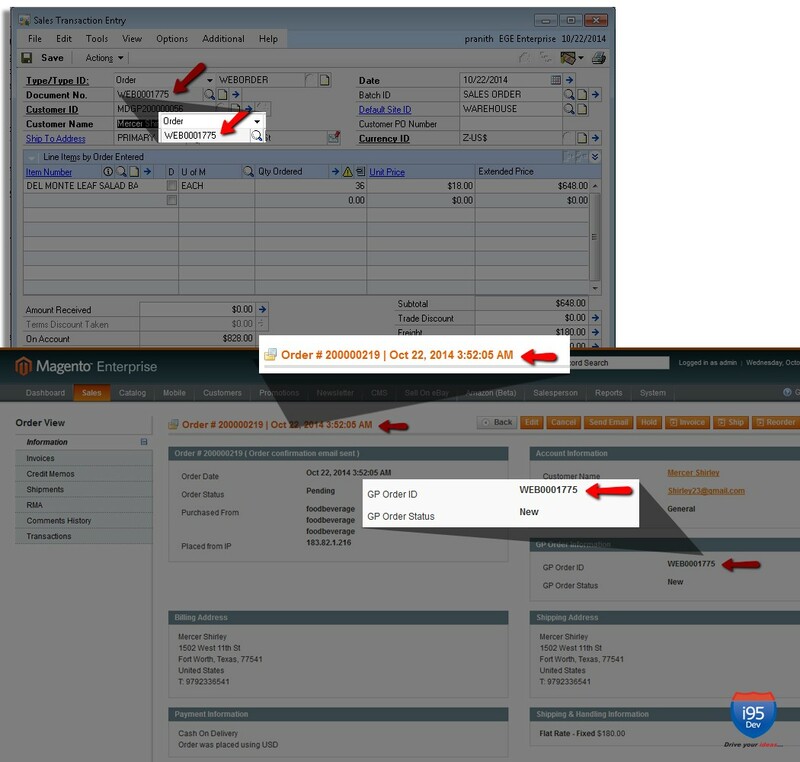 Automatically update your inventory levels, regardless of the origination of the sale. This enables you to provide better customer service to your customers by avoiding taking orders for products out of stock (unless otherwise configured to take backorders), streamlines stock replenishment and much more. 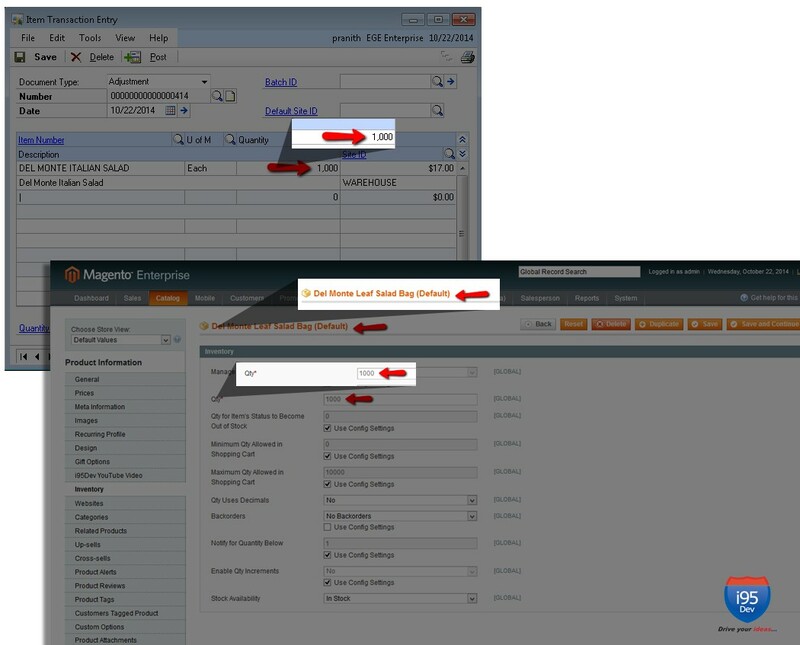 All orders are automatically synced from Magento to Dynamics GP. i95Dev provides an integrated e-commerce solution suite which enables retailers, distributors and manufacturers to utilize current and emerging technologies such as mobile, social media and market places, to reach more clients and markets while increasing efficiency and reducing costs. i95Dev’s expertise is in providing integrated solutions with Magento, the eBay owned, market leading open-source e-commerce platform and support complex integrations with various ERPs, POS, CRM, Accounting, Mobile and Social Applications. We advise more than 1500 brands from Retail, Manufacturing, Distribution and Wholesale Trade on Next Generation Commerce and Omni-channel strategies.